The OECON eCall Router for TPS is the intelligent upgrade of our successful eCall Router. It provides all interfaces for connecting TPS and 112 PSAPs to forward data and emergency voice calls which comply with EU standard EN16102. Simply connect your Third Party Service (TPS) to 112 emergency centres all over Europe. OECON’s eCall Router provides all necessary equipment to receive and decode eCalls in European 112 eCall format. It also provides all interfaces for connecting TPS and 112 PSAPs for forwarding data and emergency voice calls. EN16102 is the preferred transmission method by the European Commission. 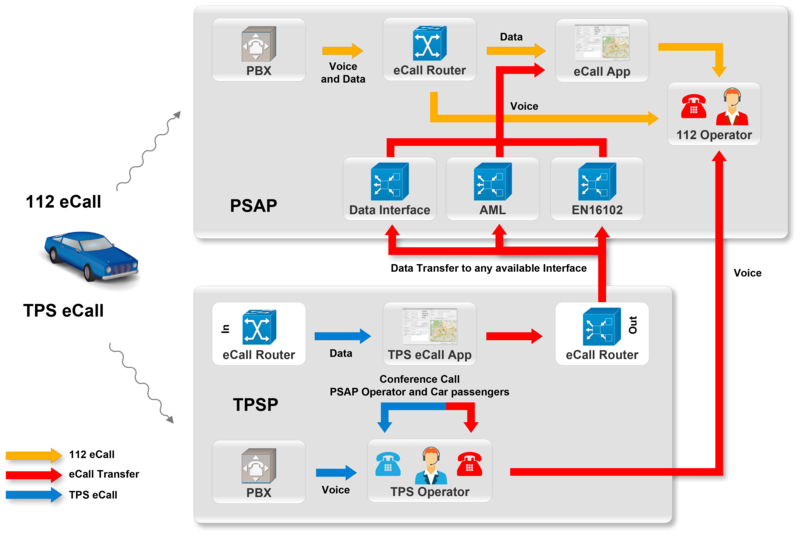 The eCall Router transfers the eCall data in XML over a password-secured channel from the TPS to the PSAP.